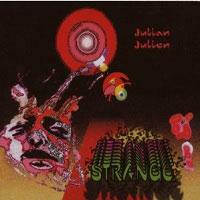 Known for his band Fractale, Julian Julien has produced in Strange, a solo album that’s odd, but also very compelling. The instrumental sounds on this CD are, appropriately strange, but also beautiful. While this is a combination of sounds you probably aren’t familiar with, and it feels otherworldly, you’ll likely find yourself drawn to it. Combining chamber music with jazz, space and world music, this is a unique musical tapestry that works surprisingly well. This instrumental comes in quite pretty. It has a chamber music kind of texture mixed with more classic progressive rock. There are lots of layers creating a thick and beautiful sound. We get some backwards tracked bits later. The same basic musical concepts are presented here, but there’s a real wonderful craziness to the sounds. It’s beautiful and also a little disturbing at times. World music elements are merged with the sounds of the rest of the set here. This is pretty, but also strange. There’s a bit of an R & B texture here. The percussive motif is an intriguing change and female vocals over the top lend some of that soulful sound. There are also world music chants later. This is an interesting cut and actually the most accessible one to this point. It drops back to mellow world music later. Percussive, this combines tribal rhythms with Indian music and elements closer to the rest of the disc. East Indian music gives way to space music. There’s more of that Indian sound here, but this also has more of a rock sound. Chamber music mixes with more mainstream progressive rock on this cool tune. It’s one of the highlights of the set and has some dramatic and powerful passages. There are a number of changes and in a lot of ways this feels like the classic era of progressive rock delivered on more chamber music oriented instrumentation. A busy percussion arrangement is covered by jazzy sounds as this cut is created. 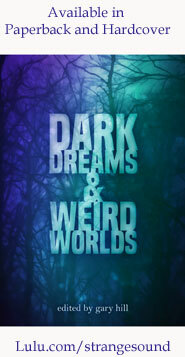 It works to more spacey textures later, too. A gong opens the title track, and then percussion and Indian sounds are again merged. After a time it works out to a piano based jam that’s more like pure jazz. There are some weird world music vocals and some pretty intriguing jamming in place. As it continues, the combination of sampled world music vocals, Indian music and jazz piano makes this one of the coolest cuts here. As this enters, it feels very symphonic. However, it’s sort a sampled symphonic texture like you might hear on modern R & B or hip hop. 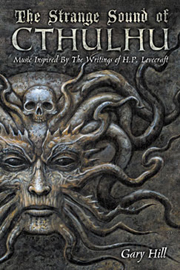 That gives way to more real symphonic textures and we’re taken through some intriguing alterations as it continues. Jazz, classical and world music are all combined here. The organ sound that brings this in makes me think of Vanilla Fudge. The track builds up from there with the keyboards as the guiding force. There are other sounds and elements in the arrangement, but overall this feels like a proggier Deep Purple merged with Vanilla Fudge.